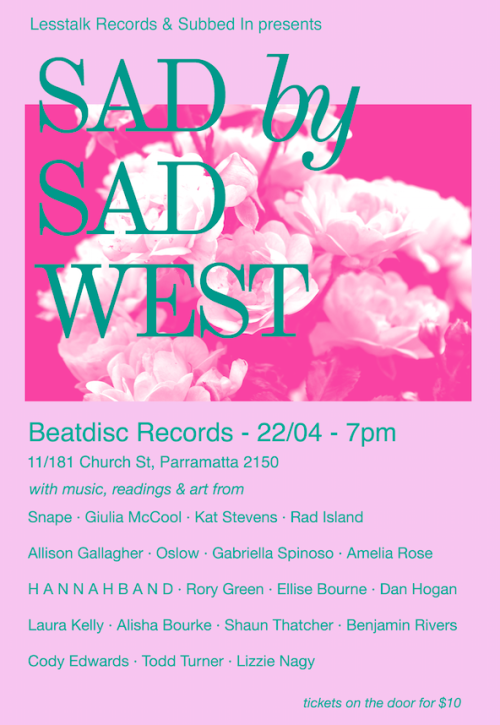 the collaborative experiment that is Sad by Sad West continues this weekend in sydney with a plethora of readers, music, and visual art. it’s going to be a blast! below are the details for each event, starting on friday. facebook event here.